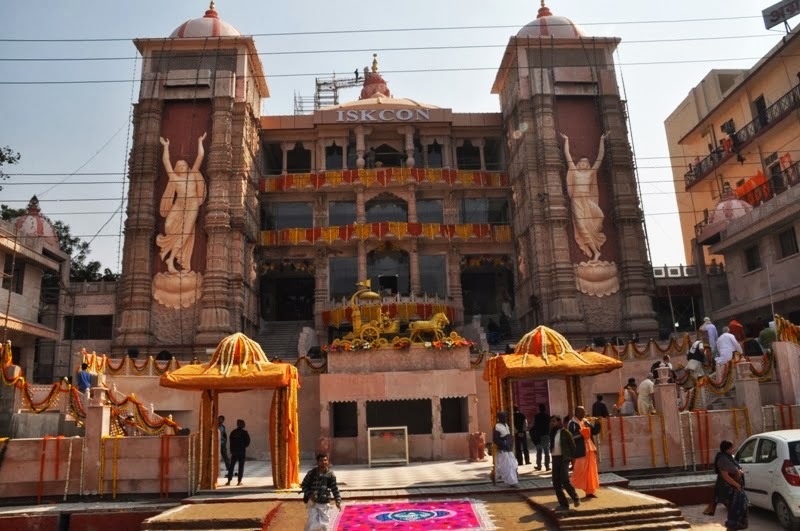 The new temple of the International Society for Krishna Consciousness (ISKCON) opened its doors to devotees and the public in Noida, Sector 33, on February 13, 2014. The International Society for Krishna Consciousness organized a week-long festive extravaganza. Over ten thousand people attended the Grand Opening on February 13th. During the festival, ISKCON dignitaries like HH Gopal Krishna Goswami (Initiating Guru), HH Loknath Swami (Initiating Guru), Mr. Surinder Singh Nagar, MP-Gautam Budh Nagar, Mr. Hira Lal Gupta, DM-Noida, along with many devotees from USA, Canada, Russia, Botswana, and Mauritius attended the festival and shared their insights and values of Krishna consciousness with the attendees. 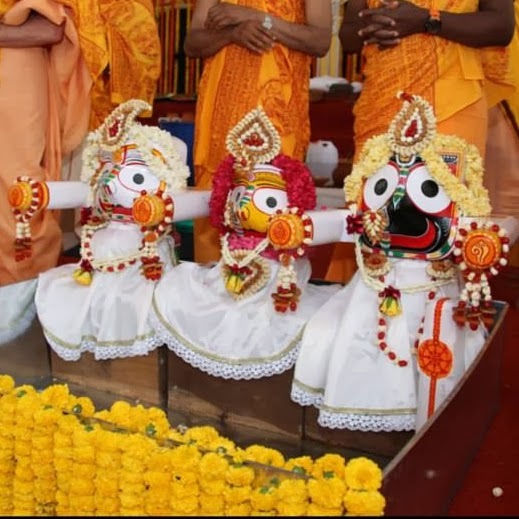 A Shobha Yatra was also organized on February 8th from the Atta market. 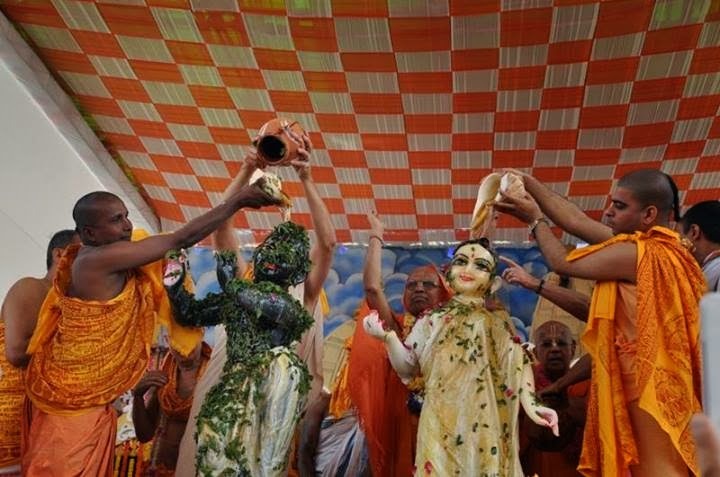 On February 11th, there was Netromilan Utsav followed by Pran Pratishtha Utsav on February 12th and on February 13th, devotees had the first Mangla Arti of Radha-Krishna. Noida’s celebrating crowd was seen enjoying the cultural and entertainment extravaganza at the opening ceremony. International Society for Krishna Consciousness, also popularly known as the Hare Krishna movement is a spiritual society founded by His Divine Grace A.C. Bhaktivedanta Swami Prabhupada in July 1966 in New York. 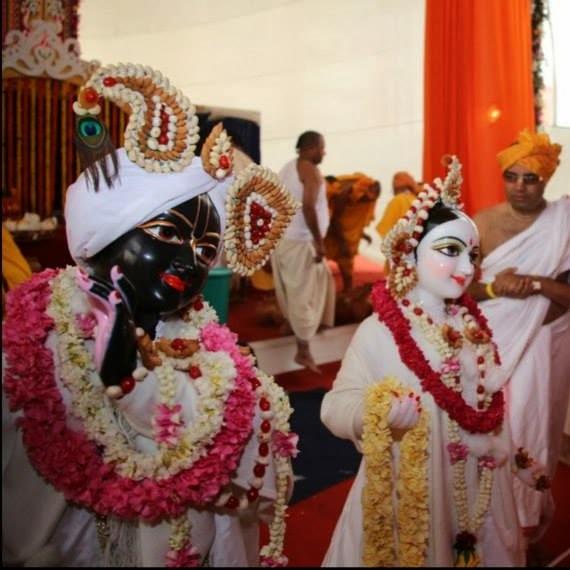 ISKCON belongs to the Gaudiya-Vaishnava Sampradaya, a monotheistic tradition within the Vedic culture. ISKCON comprises of over 500 temples, 40 rural communities and over 100 vegetarian restaurants (Govinda) worldwide. It also conducts special projects throughout the world, such as “Food for Life”, the only free vegetarian relief program in the world. ISKCON also regularly conducts seminars on stress management for the corporate sector and college students.